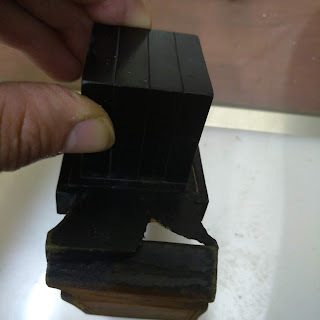 I'm not sure if we've discussed this before but do the halachos of Kuba / Zanav also apply to Tefillin? I know there are some that say it does, but what is the halacha lemaysa? 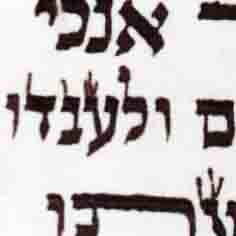 the common psak in eretz yisrael is that kuba psul applies to tefilin as a mezuza. Thanks (I assume you mean tefillin as well as a mezuzah). Question: Does the indentation of a hefsek parsha count as one of the three lines or not? (For example if in a Mezuzah has the word anochi not quite going to the end of the line, does the indentation of the hefsek parsha count as the first "uneven" line)? R Yehoshua asked R Shami Gross - who said it is machalokes haposkim of our time. So I guess someone who wants everything mehudar would not be satisfied in the case above. Rav Vozner held that hefsek parsha counts. Rav Elyashiv held it didn't. 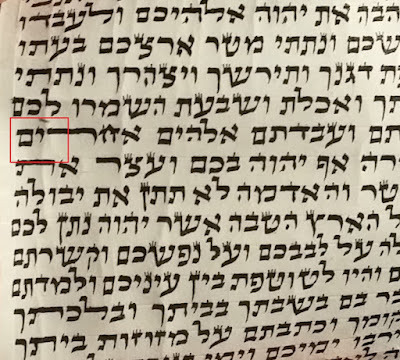 There's more room to be mekel when line is very indented, for example, at end of the mezuzah or in tefillin when the last line is very far from the end (pesuchos or stuma according to Alter Rebbi, first line of vehaya in mezuzah according to Rambam). Considering machlockes it can't be treated as mehudar. Not that uncommon for Vach of Ulavdo to stick out.